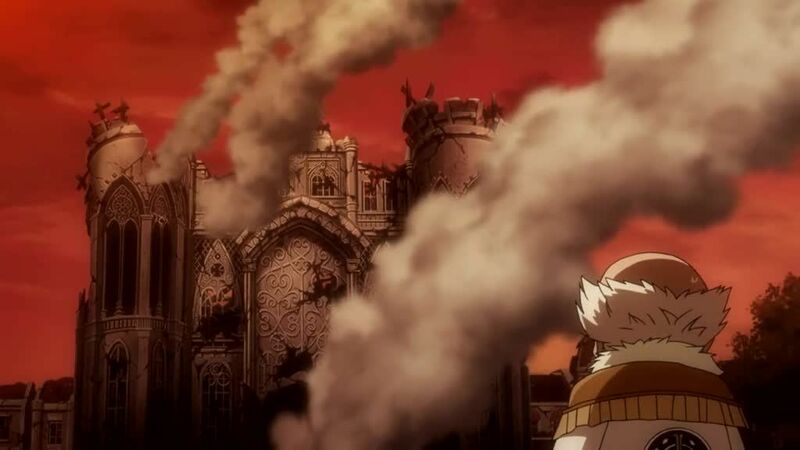 Silver separates Gray from his friends as they fight against the remaining three demons, while Franmalth survives in the form of a mushroom attached to Happy’s head. Elsewhere, Wendy and Carla awaken in Doranbolt’s care to discover thousands of Face bombs have appeared in place of the one they have destroyed. Meanwhile, Erza battles with Minerva, who has been converted into a demon. During their fight, Minerva’s memories of her father Jiemma’s abuse surface and she suffers an emotional breakdown, asking Erza to kill her. Mard Geer escapes his petrification and attempts to kill Minerva for her weakness, but she is rescued by Sting, Rogue, and their Exceed.